In the laboratory, tap water is not pure enough for experimental use. Analytical researchers are commonly concerned with elements and compounds in the parts per billion range. Life science research is often very sensitive to many contaminates, particularly heavy metals and dissolved organics. High performance liquid chromatography (HPLC) requires ultra pure water for calibration of detector base lines and elution of reverse phase columns. Trace element analysis requires water, which is free of the elements being examined. 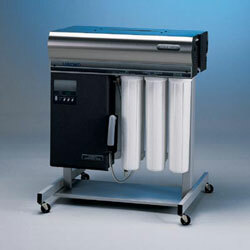 To determine which type of water filtration system your lab requires, contact LOC today.